Father’s Day sales have shot up like a rocket in the last few years. According to the National Retail Federation, Father’s Day sales increased from $12.7 billion in 2015 to $14.3 billion in 2016 to $15.5 billion in 2017. Even better, more than one-third of consumers plan to purchase Father’s Day gifts online, which means you can earn some serious coin if you have an online store. Having an online store is only one part of the equation; you still need to consider the sales funnel: a series of stages that guide prospective customers toward a buying decision. The stages of the sales funnel are composed of different marketing collateral that attracts, educates, and converts potential Father’s Day sales in your online store. For example, to attract potential buyers, you might create a landing page about the best Father’s Day gifts of this year, or you might send an email marketing campaign to your list of contacts to promote your Father’s Day products. To educate potential buyers once they reach your online store, you might create a video to showcase your products or write a series of blog posts to educate them on the features and benefits of each product. Finally, to convert the buyer, you’ll want to make sure your checkout process is seamless and easy-to-use. Keeping the sales funnel in mind, here are three marketing ideas you can capitalize on to boost Father’s Day sales this year. Create a seamless shopping experience. Ready to see how these options can work for your eCommerce business? Then keep reading. For every $1 you invest in email marketing, you can expect to make an average return on investment of $44. If you’re currently sending email marketing campaigns, you know they are a powerful addition to your marketing tool belt. From welcome emails to drip-marketing autoresponders to one-off sales promotions, email campaigns effectively catch the attention of your email contacts and, when designed properly, drive the sales you need. As with any of your other marketing initiatives, it’s important to keep your mobile audience in mind, so you’ll want to use a mobile-responsive email template. In fact, more than half of all email is now opened on mobile devices, and 75 percent of subscribers will delete an email if they can’t read it on a mobile device. Needless to say, it’s important your leads, prospects and customers can open and click your email campaign on their tiny smartphone screens. Also, and this is very important, be sure that your links go to the right pages. You can lose a lot of potential Father’s Day sales if you confuse or alienate your customers, so be sure to send the email to yourself and test everything before sending to your list. Editor’s note: Need to create a beautiful email campaign to boost Father’s Day sales this year? Check out GoDaddy Email Marketing. With mobile-friendly designs, professional templates and integration possibilities with your website, it’s the perfect solution to capture new leads! 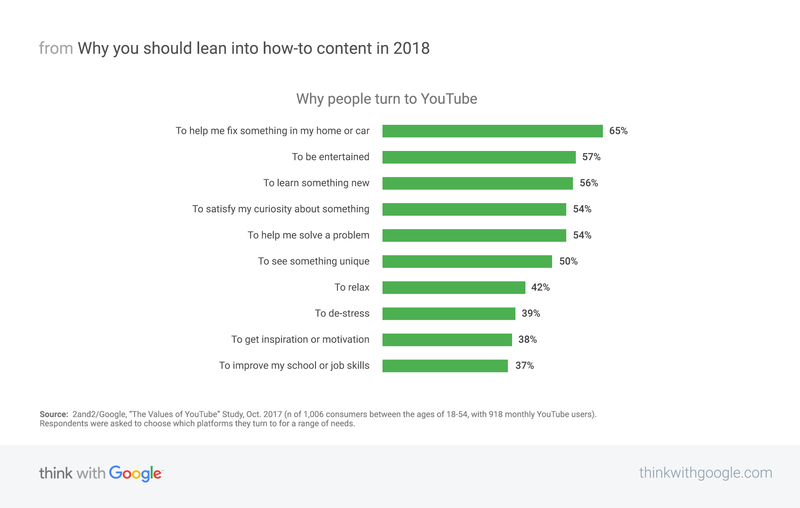 Consider how-to videos if you’re selling products, as these tend to garner the most attention of any content category on YouTube. Considering the importance of online reviews, you might also want to capture customer testimonials to convince your online store visitors to shop with you. When creating the videos, you’ll want to create a brief outline of your videos and run through your speaking points a few times to get a good sense of the video length. According to Wistia, you’ll see the most engagement if your videos are two minutes or less. Also, be sure you have a good amount of light (natural light is preferable) and try to limit background sounds and noises, as it can be distracting to the audience and detract from the quality of your video. According to an MIT study, the human brain can process an image in just 13 milliseconds. In contrast, it takes a human 300 to 400 milliseconds to blink an eye, so you could process about 23 images within the blink of an eye. Well, if that is the case, then it’s important that your potential customers are seeing beautiful, high-quality images of your products when making their buying decisions. Incorporate SSL for a secure shopping experience? With increased privacy and security concerns amongst consumers, it’s imperative that you have an SSL certificate installed on the site. Of course, virtually all merchant service providers will require you to install an SSL certificate on your site in order to accept payments. With more than half of all web traffic coming from smartphones and tablets, you need to ensure that your site is mobile-responsive. Your categories should be easy to navigate, and your menus should be short and drive consumers to the products that matter most. Have friends and family play around on your site to make sure that all buttons and links work properly. You’d be surprised how easily you can lose a sale because the customer is confused or frustrated while navigating your site. If this year is anything like years past, you can expect another rocket boost to your Father’s Day sales if you can effectively attract, educate, and convert those customers. Follow the suggestions above and add more of your own marketing ideas to really blast off this June.